– The Elantra Sport package gets a more powerful 201bhp 1.6-litre GDI turbo-petrol. – The wheels are upgraded to 18-inch stylish new wheels and all-black leather upholstery. – Might be available in India as well, but as a limited edition package. Hyundai will be bringing in the Elantra facelift to India later this year, perhaps during the festive season. 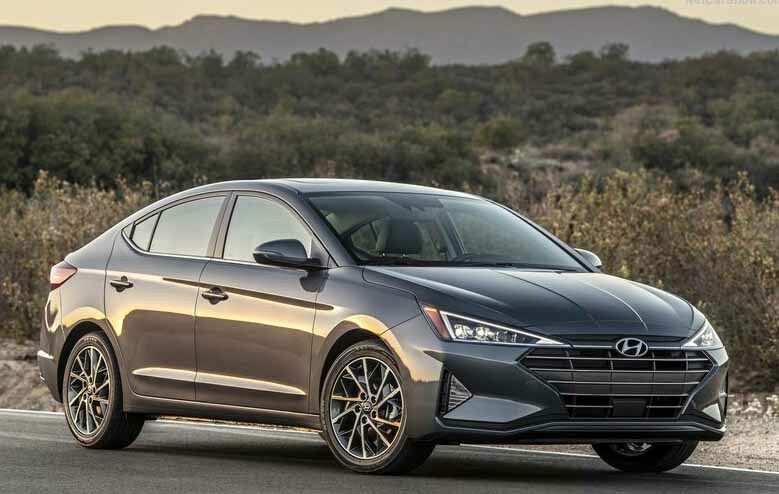 However, in the international markets, the updated Elantra has already been on sale for some months now. And now, the Korean sedan has received a special sporty treatment which comes with a bigger engine and more aggressive styling. The Elantra Sport is powered by a more powerful version of the 1.6-litre turbo-petrol GDI motor. This four-cylinder engine produces 147bhp in the standard guise, but in the Sport trim, the power is up to 201bhp while the torque is rated at 264Nm. It can be had either with a six-speed manual gearbox or with the option of a seven-speed dual-clutch transmission. Appearance wise, the most significant change is the blacked-out mesh design insert on the characteristic cascading grille in place of chromed horizontal louvres. It also sits on bigger, multi-spoke 18-inch alloy wheels. There are six exterior colours but the cabin has an all-black leather upholstery as the only choice. The equipment list includes navigation, eight-speaker stereo, dual-zone automatic climate control, auto-dimming rearview mirror, and Hyundai’s Blue Link Connected Car service. Apart from that, there are also a host of optional accessories. When Hyundai introduces the updated Elantra in India, the Sport trim might be available as an optional package. More details of the new Elantra and all the other upcoming Hyundai cars will be revealed soon. So stay tuned to CarWale.